Glastonbury tickets have arrived, woohoo! I think I’m going to post this every year, at least then I’ll know how long to leave it until I start panicking that they haven’t arrived! 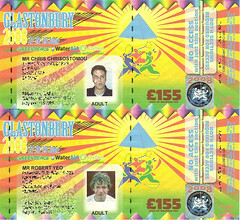 Tagged in: glastonbury 2008, leg, tickets.